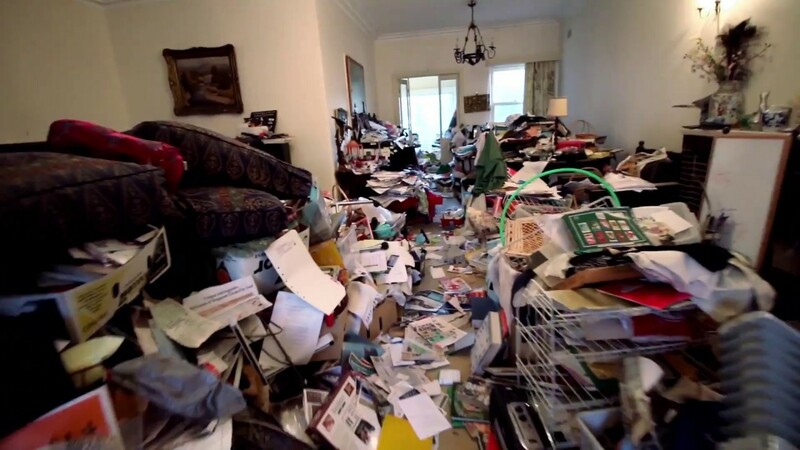 It can be overwhelming when you behold the sheer scope of hoarding cleanup. Imagine the junk, clutter and all sorts of garbage accumulated for over a year; it can be both shocking and chocking. Definitely, this could be a several days’ job. Follow through and get some of the tips that you should apply to make it easier and ensure that you’re safe. You need to have safety gear; Disposable gloves, goggles, dust masks and such would protect you from exposure to parasites, molds and other hazardous conditions that may be present at the place. In cleaning up a hoarder’s home, there are hundreds of trash-bags that would need to be disposed of and therefore you must have some place for such. Large dumpsters are available with city sanitation services. These they rent at some reasonable fees including haul-off and disposal charges. The outside of the house is spacious and therefore, by de-cluttering the place, you would make room for the contents of the house. Thus, you have sufficient space to sort everything and separate. It’s common knowledge that bathrooms and kitchen would be the most complicated to clean up. Therefore, you could either begin with them or even spare them for last- initially, you are more focused and energetic and therefore it would be prudent if you begin with them. You can do very little in scrubbing the walls, dusting or even vacuuming until you deal with the clutter and the garbage. Work to get them out and therefore leave space for the cleanup details. This would save you time and allow for thorough work. Any garbage or clutter on the chairs, tables, on the bed should be cleared first. This will give room for the cleaning of the floor. The closets are a bit involving and stuck with a lot of mess, this should be handled lastly. Get some empty boxes or choose and mark different positions in the room where you place clutter depending on the importance. There are things you do not need and therefore would be put separately from the ones that can be reused. This would make it easy to do the work and avoid damping important stuff. Where you are not able to tell the importance/usability of an item, you can keep it on a defined spot for further evaluation. When you’re done with clutter, the next step is intensive cleaning. Here, you begin with the top- the ceiling, through the walls and windows and all furniture in the room. The carpet would need to be pulled up and cleaned before finishing with the floor. Scrub the whole place until it is dazzling clean. You may want to clean, yes, but if you are looking forward to an excellent job that would leave the hoarders home in perfect condition, then, you need the services of a hoarding cleanup professional who will ensure that the cleaning, disposal and in some circumstances, fumigation is done thoroughly.